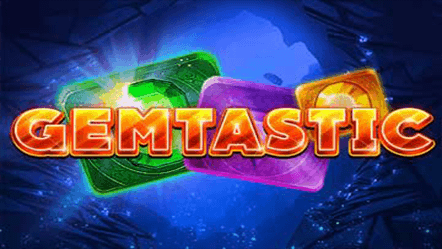 Gemtastic slot is a new game from Red Tiger Gaming to start off the new year. It’s another game that uses cascading symbols to generate consecutive wins and as you’d expect, Red Tiger Gaming have taken advantage of that by including some features that work well with it like multipliers, but more on that shortly. 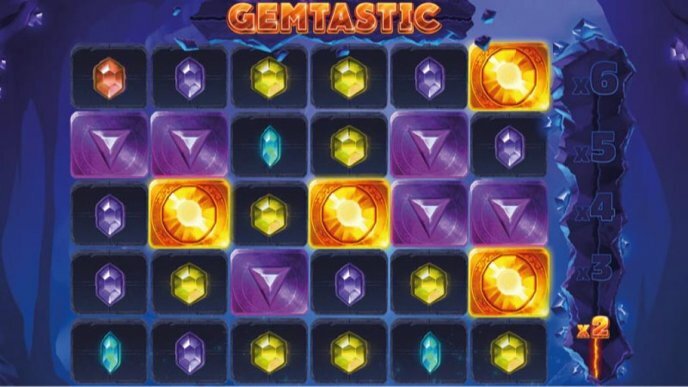 As you can see, each of the symbols in Gemtastic slot has a different value but these don’t vary too significantly. One symbol that I haven’t mentioned on the list though is the special Wild symbol. This is shown as a sparkly gem which is actually significantly more valuable than any other symbol in the game but only in a winning combination of 6 as it doesn’t pay out on its own less than that. It does, of course, substitute for all other symbols in a winning combination. Avalanche Feature. 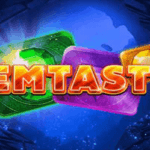 As the increasingly popular trend continues, Gemtastic slot is another to use the avalanche feature or cascading symbols feature. It’s very simple and most of you probably know how it works already, but essentially every time you get a win, new symbols will drop in from above and replace them. 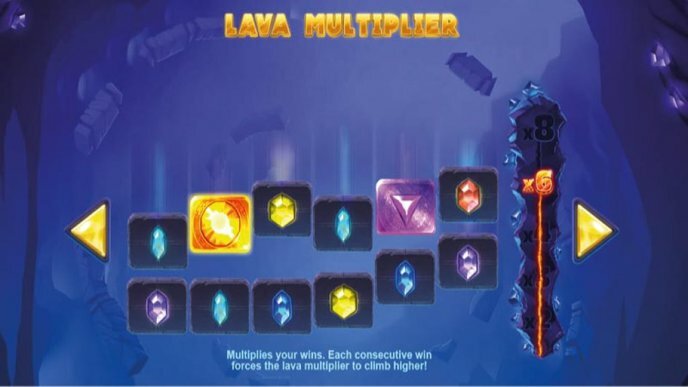 Lava Multiplier. Any interesting idea that they’ve come up with here is a way to increase multipliers as you start to get more win. You’ll notice a multiplier table on the side of the reels as every time you get a consecutive win, you’ll move higher up on the table with increasing multipliers. This can take you all the way up to a 15x multiplier which has the potential to offer some pretty nice payouts when you include all the previous multipliers before it too. Magic Glow. You’ll notice sometimes while playing that certain symbols will start to glow, known as a Magic Glow. If you’re lucky enough to get a win with one or more of these symbols, you’ll be awarded a respin as they disperse and turn into Wild symbols to help you get more wins. Mega Gems. A small yet significant feature in this game is the fact that all symbols can appear as Mega symbols. These can be the size of either 2×2 or 3×3 symbols and naturally this can help you get some better wins. Gemtastic slot from Red Tiger Gaming has some interesting features that mostly revolve around the avalanche feature. One of the main things you’ll be looking for is to work your way up the multiplier table, getting bigger and bigger wins as you do so. Unfortunately, I found it pretty hard to get much past the 3x or 4x multiplier so don’t expect big wins from this very often, but it’s still nice to see. The Magic Glow and Mega Gems features are also nice additions. Again, nothing crazy from these generally but they provide some good potential and reasonable common wins. I actually quite like the look of the slot too; it doesn’t have the most amazing graphics or a unique theme but it just looks pretty good overall I think. In short, definitely worth a go if you like this type of slot, let us know what you think down in the comments section below. Multipliers can generate some good wins. Can go a long time without significant payouts.